What if you were told of a simple way to reduce your child’s chances of developing asthma and even allergies by almost half. Wouldn’t you sit up and take notice? Wouldn’t you listen very carefully and fall all over yourself to implement that strategy immediately? Asthma, after all, is a life threatening disease. It is not just a minor inconvenience to everyday life. An inhaler in your pocket is not comparable in any way to carrying around a pair of reading glasses. Asthma affects a child’s ability to fully participate in life and may even threaten his/her life if an attack occurs in a place where medical help is not readily and immediately available. The numbers of children suffering from asthma are staggering. Over 10 million children in the United States alone suffer from this life threatening illness. Any parent would be nuts unwise not to implement such a simple strategy if it could indeed reduce the odds of developing asthma by almost half. 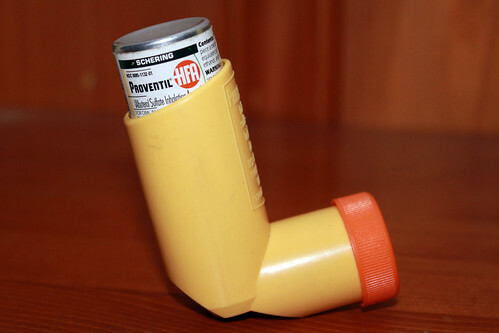 So what is this simple strategy for reducing your child’s asthma risk? A drug? A vitamin? A supplement or special nutrient of some kind? Before reading on … remember that just because answers sometimes come in a brown paper bag doesn’t make them any less important or worthy of our rapt attention. The Journal of Allergy and Clinical Immunology reported on August 29, 2011 that children who drank raw milk had a 41% reduced chance of developing asthma. These same children had a nearly 50% reduction in hay fever as well even when other relevant factors were considered. The large European study reported by Reuters Health earlier this month included survey results where parents answered detailed questions about their children’s milk consumption. 800 milk samples were collected from the households of those participating in the study. Researchers linked the protective effects of raw milk to the fragile whey proteins BSA and alpha-lactalbumin which are destroyed by pasteurization. It is important to note that children who drank raw milk that was boiled before drinking had no less asthma than those children drinking pasteurized milk. Only completely unheated raw milk from farm to glass provided the protective effects against asthma and allergies. What if You Are Afraid to Give Your Child Raw Milk? Here’s the bottom line if you find yourself afraid of raw milk due to the tedious and misguided government warnings about this healthy whole food. There is no record of raw milk ever killing a single child per review of the available literature over the past 12 years. Asthma, on the other hand, kills thousands of people each and every year and causes millions of annual visits to hospital emergency rooms. What seems to be the common sense, obvious decision to you? Most people don’t trust the government about much of anything anyway (and with good reason), so why wouldn’t they be skeptical of government warnings about raw milk too? As it turns out, more and more people really are ignoring government warnings about raw milk given that raw milk consumption increased by 25% in California alone in 2010 while pasteurized milk consumption shrank by 3%. Thinking for oneself is truly a beautiful thing.